Dry January: can you abstain from toxins like alcohol and social media for a month? Here in the UK, there is an annual tradition known as Dry January. It’s pretty simple, in the wake of all the festive indulgence (🍻), around 4 million people voluntarily abstain from alcohol for the month of January. Why? Because they can save money, sleep better, lose weight  and even raise money for charity in the process. If you haven’t tried it yet, Dry January is an enlightening (and enlivening) challenge. Abstention requires a bit of planning and preparation, but if you tell your friends now, you could experiment with switching off all your social media for the month of January. Will you be able to handle the Fear of Missing Out (FoMO) ? Will your quality of life improve? On Apple devices, if you’ve got iOS version 12 you can use screen time. Otherwise try self control or similar. On Android devices, take a look at wellbeing.google and the accompanying Digital Wellbeing application. Abstaining from alcohol can be beneficial for your physical and mental health. 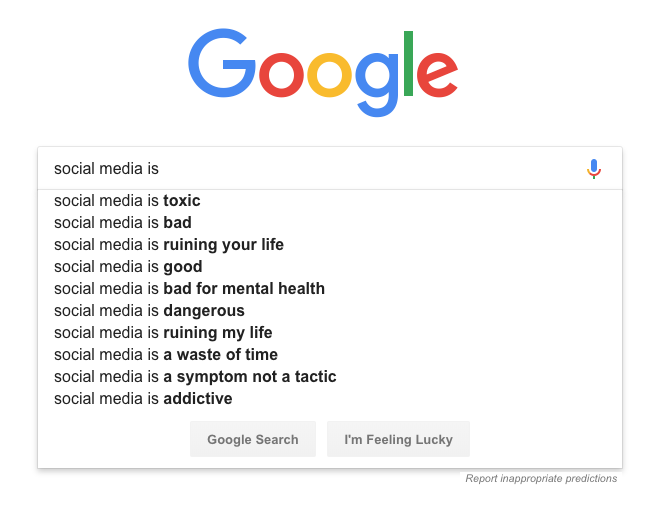 Abstaining from social media could probably help too. Why not give it a whirl and see for yourself? As this is last (and first!) post here for 2018, have yourselves a happy winterval and a healthy new year in 2019. 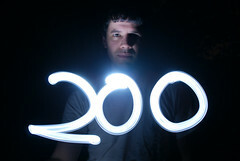 According to the software which runs this site, this is the 200th post here at O’Really? To mark the occasion, here are some stats via WordPress with thoughts and general navel-gazing analysis paralysis  on web analytics. It all started just over six years ago at nodalpoint with help from Greg Tyrelle, the last four years have been WordPressed with help from Matt Mullenweg. WordPress stats are unfortunately very primitive compared to the likes of Google Analytics and don’t give you access to the server log files either. WordPress probably flatters to deceive by exaggerating page views and encouraging users to post more content, but it doesn’t count self-visits to the blog. Despite all the usual limitations of the murky underworld of web analytics and SEO, here are the stats, warts and all. Are we obsessed with dodgy performance metrics like journal impact factors? I’m not, honest guv’, but lots of people on t’interwebs clearly are. Is there a correlation between Obsessive Compulsive Disorder (OCD) and Impact Factor (IF)? Probably. Will it ever stop? Probably not. … social media (twitter, friendfeed, flickr, researchblogging and wordpress etc) refers nearly as much traffic as the search engines do. I fit the demographic of bloggers previously described : male, educated and a life scientist. Dear Thomson Reuters, you should have an associates scheme like Amazon. I’m advertising your commercial product (Journal Citation Reports) for free! I’m far too kind, please send me a generous cheque immediately for my troubles or I will remove all links to your product. Lots of people looking for the lyrics of the Friends sitcom jingle don’t know what “Your love life’s D.O.A.” means. Glad to be of service. Traffic here is fairly modest compared to some blogs, but is still significant and to my mind justifies the time spent blogging. It is great fun to blog, and like most things in life, it can be very time consuming to do well. There is a long way to go before reaching the 10,000 hours milestone, maybe one day. What people are actually interested in reading, and what you think they will be interested in reading are often two completely different things. Solo blogging has disadvantages and it’s been very tempting to try and join one of the many excellent blogging collectives like PLoS Blogs, Occam’s Typewriter or the Guardian science blogs. For the meantime though, going it alone on a personal domain name has it’s advantages too. So, if you’ve read, commented or linked to this site, thank you very much. I hope you enjoy reading these posts as much as I enjoy writing them. Like smartphones and wifi, it’s hard to imagine life without blogs and bloggers.